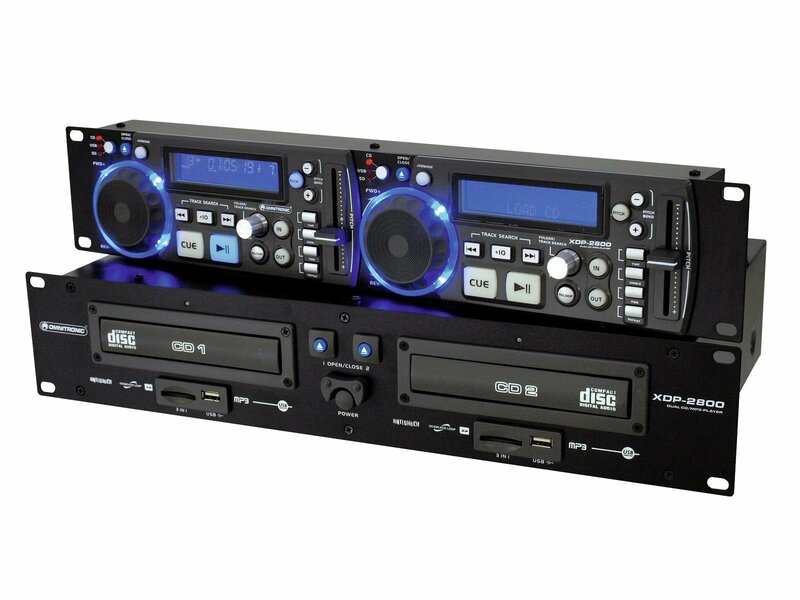 Be flexible - with the Omnitronic XDP-2800 Dual CD and MP3 player. 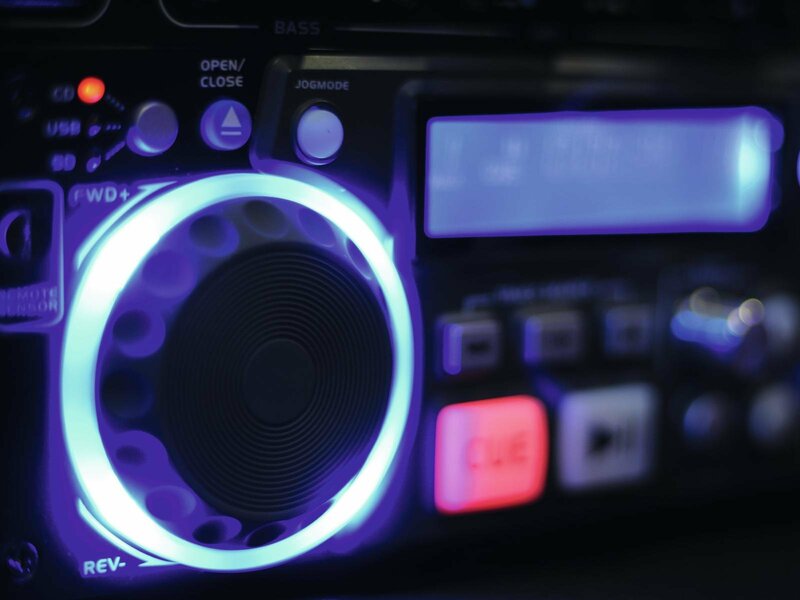 As DJ, bar owner or organizer it prepares you for any kind of situation. 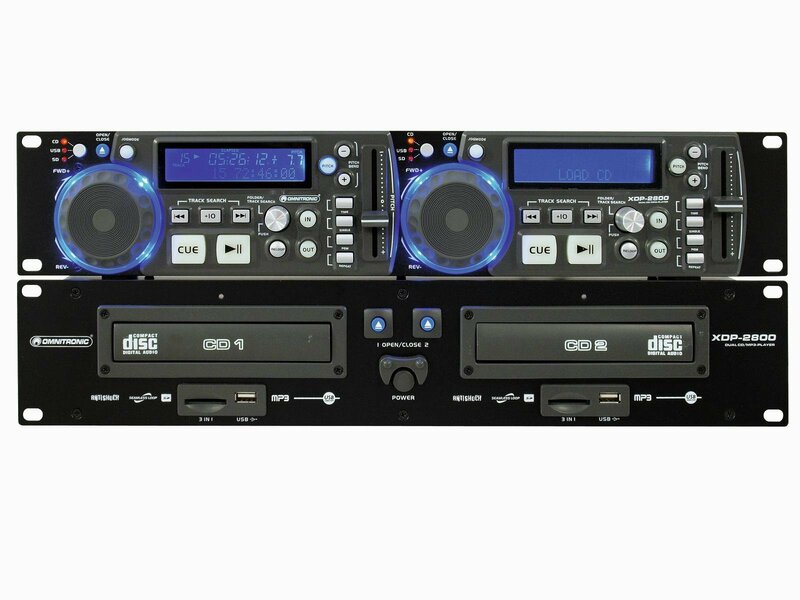 Both CD decks read all common CD formats as well as MP3 files. 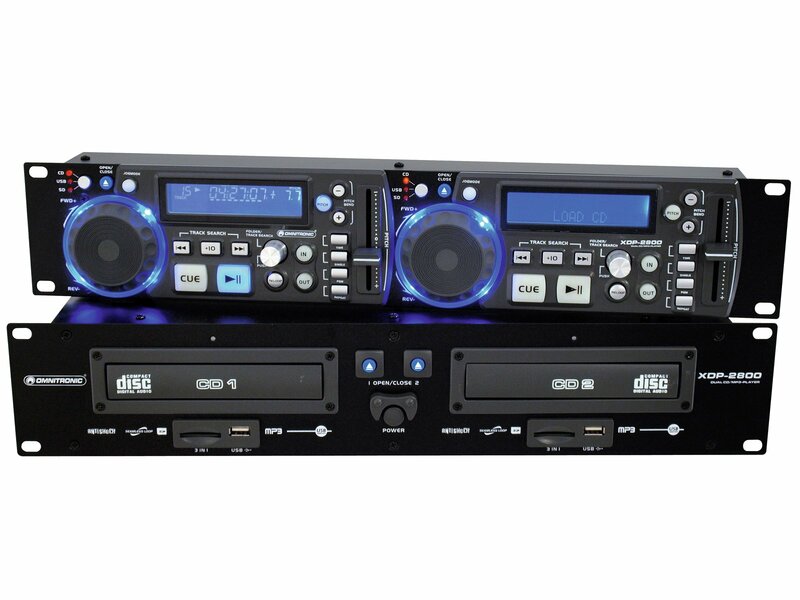 Moreover, you can play your music via 2 USB 2.0 ports or 2 SD card slots. Imagine a wedding couple bringing you their special dance - it doesn't matter which source they use as you can play them all. Interruptions while you performing are a thing of the past. The anti-shock protection of 15 seconds takes over and you are fine. 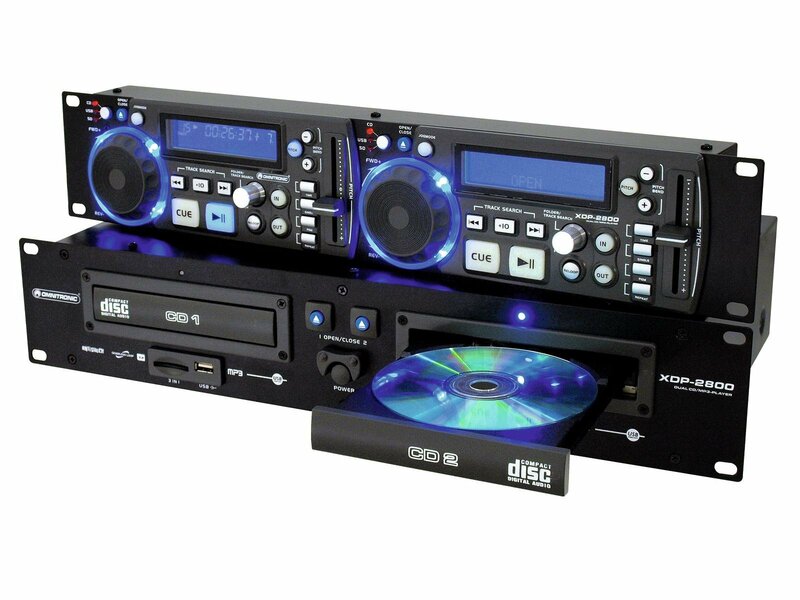 Build your double CD player into 19 inch racks to transport it in a safe way. 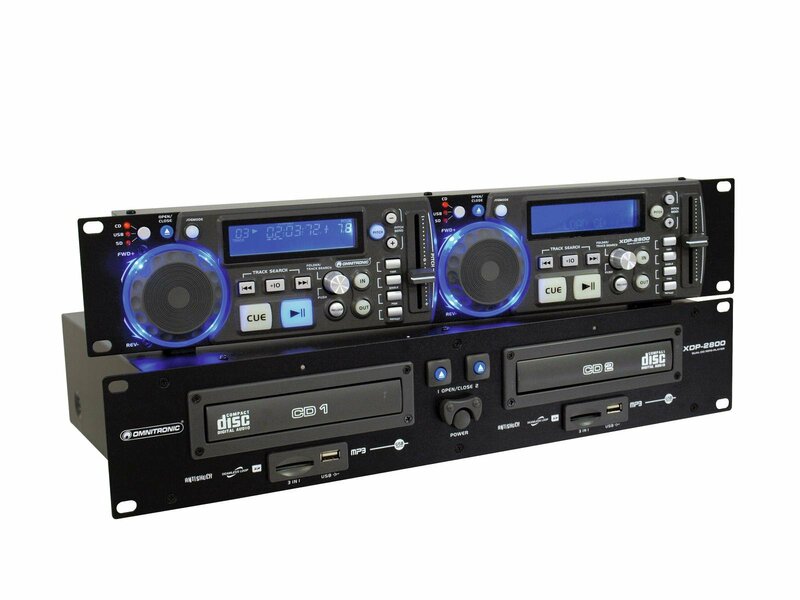 DJ functions such as pitching, looping or scratching with the jog dial are waiting for you. The XDP offers LCDs with blue backlight and rubber buttons with color illumination, so you never lose track of your unit. 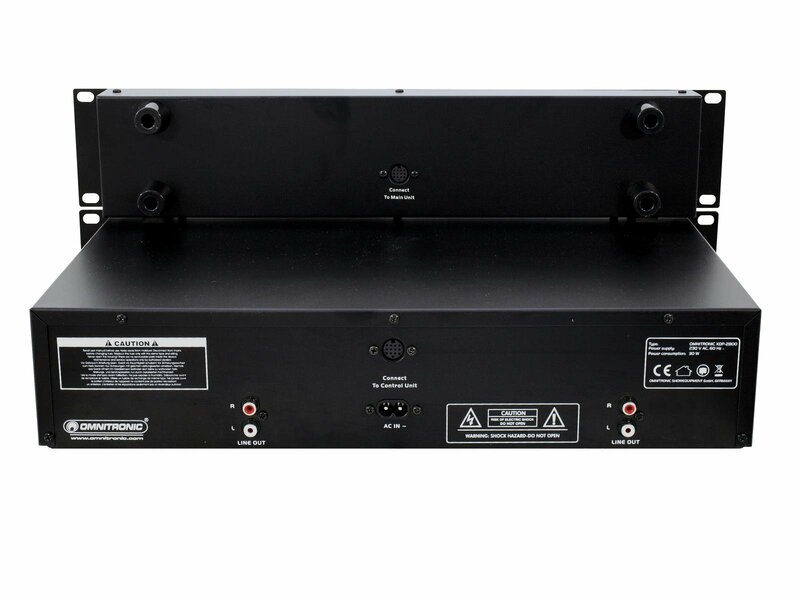 Choose a reliable multi talent with quick source identification, choose the XDP-2800.